Oh Surly how I do love you. I have to start this post with a bit of full disclosure. This beer given to me the day of my twentieth birthday was the beginning of my love for American craft beer. 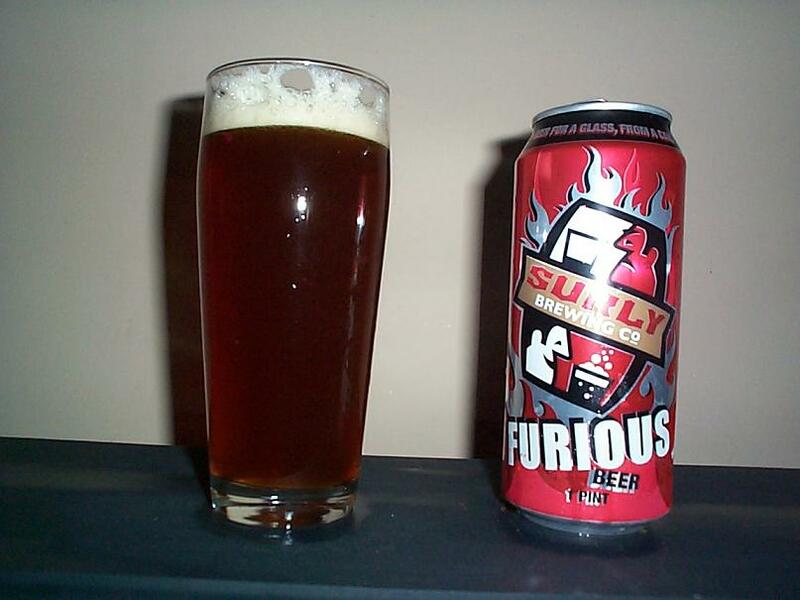 It is brewed by the innovative Surly Brewing Company in Brooklyn Center, Minnesota. Not to be confused by Surly bikes another grand company that started in the state of Minnesota. Furious is an IPA that represents what an American IPA should be in my opinion. Pours a deep hazy red color that starts to fade to a slight orange tint in bright light. Plentiful slightly tan head. Smells strongly of hops with a bit of bitterness but very well balanced. Tastes strongly of hops, particularly the cascade variety. Which is to be expected with its 99 IBUs and 6.2% ABV. Very full flavored and certainly a bit bitter for those not used to the heavy hop punch, overall incredibly well balanced with a nice malt undertone on the front of the palate that helps ward off the bitterness in the end. Mouthfeel is quite smooth and makes this a very refreshing beer for anytime of the year. I whole heartedly encourage everyone to try this beer because it may show you flavors you have never enjoyed before, particularly if you care for a hoppy beer. Give it a shot and ride your bike. This entry was posted on Monday, June 23rd, 2008 at 7:02 pm	and is filed under Beer, Minnesota Beer. You can follow any responses to this entry through the RSS 2.0 feed. You can leave a response, or trackback from your own site.